Our sashes and runners are the perfect finishing touch for your tables and chairs! 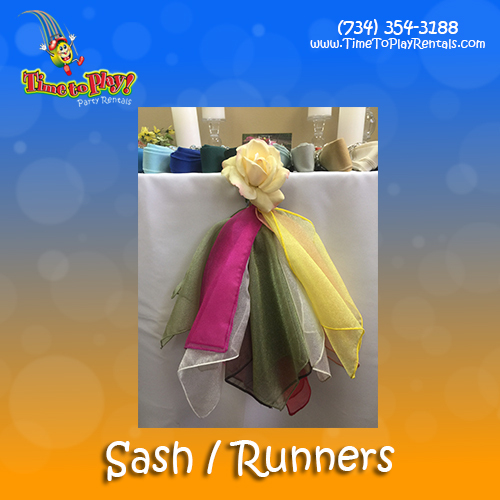 We offer woven polyester, organza, satin, burlap and lace sashes and runners in a wide variety of colors. Placing runners on your tables and sashes on your chairs are simple ways to add elegance and sophistication to your event. Visit our showroom for more design ideas!